This review compares two popular semi-pro DSLRs; the Canon EOS 6D vs Canon EOS 70D. The 6D has a 20.2MP full-frame CMOS Sensor and the 70D a 20.2MP APS-C CMOS Sensor. The cameras look similar, but they’re different in several ways, hence this review. Both budget DSLRs provide users with a superb blend of photographic control and quality features. So, which is better? What camera works best for YOU depends on what you expect from a Digital-SLR? Most people’s priority is with stills. Others—like vloggers—are more interested in video capability. 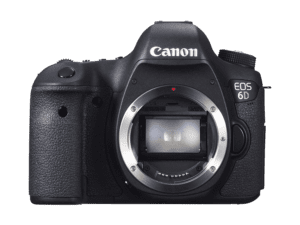 Why consider the EOS 6D over the EOS 70D? 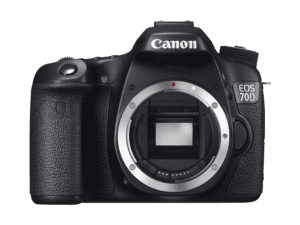 Why consider the EOS 70D over the EOS 6D? Canon’s EOS 6D and EOS 70D DSLRs each boast a 20MP sensor resolution. That means big prints with vivid details. 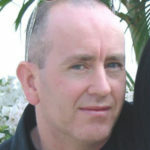 Photographers can enhance image quality still further by exploiting RAW support. These two cameras from Canon have a lot in common. On the connectivity front, they both sport wireless (WiFi) and remote control via a regular smartphone. Another welcome feature is the weather sealing on these DSLRs. It wouldn’t protect the cameras in a downpour, but it’s better than nothing. Note that environmental sealing is not typical of most DSLRs. Both models share some exterior features as well. The external flash shoes allow for more creative lighting control. And the mic ports are invaluable for those who demand high-quality audio. The EOS 6D and EOS 70D have optical viewfinders. They also share high-resolution LCD screens and a top LCD display. Top LCDs are comfortable to use when viewing or changing camera settings. Portrait photography benefits from the Face Detection Focusing mode. The cameras also have AF fine-tuning (micro-adjustment) that lets you tweak the focus if the AF is slightly out. The final shared feature is Auto Exposure or AE Bracketing. A camera that can take 3+ shots at different exposures is incredibly useful in challenging light conditions. You may think these cameras are the same at first glance, but closer inspection reveals otherwise. This section compares their width, height, depth, weight, and build. Let’s look at the cameras front facing side by side with the 6D on the left and the 70D on the right. The Canon 6D is 11% larger than the 70D and is also heavier by 2%. The weight disparity is minimal, but the size could be a factor for smaller hands. Total weight is also about lenses. The 6D has a bigger sensor that accommodates larger, heavier chunks of glass. The lighter 70D body has a smaller sensor that works with smaller, more compact lenses. There are significant differences between these cameras from the top view as well. Photographers don’t consider these cameras heavy, not as feature-packed Digital-SLRs. The ergonomics are also excellent which makes them comfortable to hold and use. The Canon 6D incorporates highly-durable polycarbonate and magnesium alloy in its build. This mix of materials helps to keep the weight and cost down. The 70D has a similar design but uses aluminum for its chassis and plastic in its construction. The plastic is a good quality, resilient polycarbonate. These materials contribute to its lighter weight. Both bodies are weather-sealed, but don’t confuse that with all-weather capable. In this context, it’s more of an environmental sealing that protects against splashes, dirt, and airborne dust. These next two sections zoom in on the unique differences between the models. Here we look at some of the main performance attractions and features the Canon EOS 6D has over the EOS 70D. The EOS 6D has built-in GPS for tracking exact locations. The camera also has higher maximum ISO than the 70D at 25.600 vs. 12.800. That means faster shutter speeds and smaller apertures. Canon’s EOS 6D also boasts a better battery life than its rival. That’s no small detail, especially when the difference is 1090 vs. 920 shots or 170 frames to be more specific. Other features worth noting are the 6D’s higher color depth and slightly higher dynamic range. The sensor pixel is also bigger by 156% or 43.29µm2 compared to the 70D’s 16.91µm2. The time-lapse recording feature is sure to draw some creative photographers to the 6D, as well. These are the things that the Canon EOS 6D offers that the EOS 70D doesn’t, but it’s not over yet. The 70D has even more advantages than the 6D, but are they things that matter to you and your style? The EOS 70D has an articulating screen. Adjustable LCD screens are serious buying considerations for some photographers. They allow for more creative composure and ultra-flexible shooting angles. The rotating LCD also makes this a selfie-friendly camera. The 70D is better at freezing fast action too, with its 1/8000s fast shutter speed vs. the EOS 6D’s 1/4000s. We live in a world of touchscreen technology. So, the EOS 70D’s touchscreen display gives it one more advantage over the 6D. It just makes navigating the camera’s menus and functions so much easier. The built-in flash is yet another useful feature the 70D has that the 6D doesn’t. A built-in pop-up flash is invaluable for when you need to shoot in low light at a moment’s notice. Action and sports photographers are sure to favor the faster continuous shooting of the 70D. At 7.0fps it can shoot 2.5fps more than the 6D’s 4.5fps. The 70D also has a slightly more accurate viewfinder. Another advantage of the 70D is its number of focus points and cross-type focus points. These help with faster, more accurate focusing and avoid reframing once you’ve selected the main focal point. The Canon EOS 70D body weighs 755g or 26.6 oz. (15g lighter than the Canon 6D). It’s also lighter on the pocket. The price difference is something for budget-conscious photographers to consider. And finally, the 70D has a better shutter system than the 6D by 150000 cycles to 100000. That implies the shutter mechanism lasts longer before it needs changing. There’s little to gripe about with either camera considering the value of each product. Both products have their pros and cons, but there’s no significant weaknesses shared by the cameras. If I had to nitpick it would be the lack of sensor-based image stabilization (IS). But then Canon doesn’t have in-body stabilization with any of its Digital-SLRs. That’s a shame, but they do have their reasons. Canon says stabilization is most effective when it’s built-in to the lens. That’s why they have a range of Canon lenses labeled “IS.” The problem here is that IS lenses cost more than regular, non-stabilized glass. Not all camera manufacturers agree with this. For example, Olympus, Pentax, and Sony Digital-SLRs all have in-body stabilization. There’s a whole debate surrounding the “stabilization” issue. The good news is that there are plenty of third-party and Canon lenses with optical stabilization. Canon has 91 EF/EF-S mount lenses with IS and around 65 for the Canon EF mount. The Canon EOS 6D, 20.2 MP CMOS camera, enjoys plenty of positive feedback from users. Even those who are not diehard Cannon fans agree that it’s one of the best value full-frame DSLRs for the money. The 6D’s longer battery life, built-in GPS, and time-lapse recording are favorite features. The camera’s low-light capability also gets plenty of mention. Image quality and ergonomics are others. It’s not praise all the way, though. One of the main disappointments with Canon’s 6D is the absence of a popup flash. Fans of the camera would like to have seen an articulating screen as well. Overall, though, the consensus is that the EOS 6D is an excellent camera. It seems a favorite choice for those stepping into the world of full frame DSLRs for the first time. Canon’s EOS 70D Digital-SLR is also well-regarded. Reviewers talk of the quality footage and articulating touchscreen. Owners also like the fast autofocus (AF) and easy-to-navigate menus. The 7.0fps continuous shooting and fast 1/8000s shutter speed make it popular with sports and action photographers. And finally, most of the feedback agrees that it’s an excellent value for money DSLR. There are some minor gripes from owners of both cameras, but few regrets overall. The EOS 6D is the most affordable of Canon’s full-frame DSLRs. Yes, it’s minus a few pro features, but it’s still a fine-tuned camera that meets most of its fans expectations. As for Canon’s EOS 70D, that continues to sell well despite its successor, the EOS 80D. The reasons are clear—it’s a well-rounded crop sensor DSLR that checks most enthusiast’s boxes. This review page has highlighted both the significant and trivial variances between the two. Only you can decide which of these beauties satisfies your needs and expectations.